1. 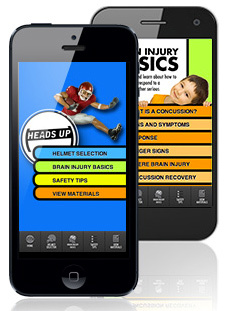 Concussions in girls’ sports. Last fall, I wrote about concussions in school sports, sometimes resulting in long-term head injury. I asked whether culture change, involving taking kids off the field, teaching parents and coaches how to recognize concussions, and getting independent medical evaluations will be accepted and help avert long-term traumatic brain injury. Unfortunately, the story was focused largely on boys and male professional athletes. After I wrote the story, a reader approached me privately and said that I was remiss in excluding girls. Soccer is the leading sport for girls’ head injuries. I was pleased to see a commentary in JAMA Pediatrics this week by Cynthia LaBella, MD, on concussion and female middle school athletes. The piece reviews a prospective cohort study of middle school female soccer players between March 2008 and May 2012 by John W. O’Kane and others, from the University of Washington Seattle. Concussions in middle school are studied less frequently and girls and women in sports are still not that visible in mass media despite the passage of Title IX, which aimed to end discrimination and build inclusiveness for females in sports, in 1972, more than 50 years ago. less than half sought medical attention. CDC-recommended Heads-Up app, in IOS and Android. What is especially striking is that these figures follow Washington becoming the first state to pass concussion legislation in school. Clearly, more concussion awareness and early diagnosis is warranted, according to LaBella. But, in my opinion, for real culture change, we may need to look at carrot-and-stick incentives. Anecdotal data tells me that parents and coaches are reluctant to pull kids out of sports. Adult diaper use now supplants baby diapers. Large population shifts are afoot, as this Wall Street Journal article nicely highlights, by illuminating a major shift in sales of diapers. Adult diaper sales now outpace sales of baby diapers (up 20% versus down 8%. respectively). This parallels a drop and leveling off of the birth rate and boomers aging. Marketers are focusing on this booming 65+ market. I’d love to see this aging population actively engaged and accommodated in patient-centered research and practice. Please send me information on efforts to engage these patients. Using electric shock for gay conversion therapy. Bans on gay conversion therapy in the United States are proliferating at last, which is good news. Yet many other countries remain in the dark ages. 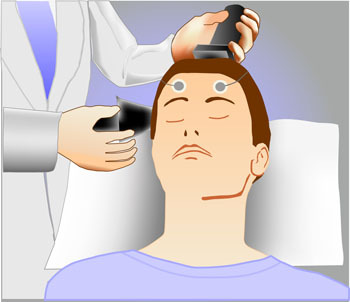 Electroconvulsive therapy (ECT), National Institutes of Mental Health, NIH. Taking a strong stand against the violence against GLBT groups around the world is imperative if this is to stop. Stigmatizing, humiliating reactions to chronic pain. How do we balance the chronic pain against an epidemic of opioid abuse? Not very well, writes Janice Lynn Schuster, in “Down the Rabbit Hole: A Chronic Pain Sufferer Navigates the Maze of Opioid Abuse.” Schuster describes how bothersome pain in her tongue, felt as throbbing, burning, and pain upon eating and speaking, led to a tongue surgery that made her pain far worse. Schuster questions herself for not reviewing the outcomes online with this surgery, but the bulk of the piece deals with her frustrating search for pain relief without judgment. This entry was posted in Uncategorized and tagged aging, concussions, diapers, electric convulsive therapy, electric shock therapy, gay conversion therapy, pain management. Bookmark the permalink.